The USA is incredibly cheap for many things. Food, gasoline and groceries are great examples of the cheap goods on offer. Sadly though, the same can’t be said for services, where the high cost of labor means prices are steep. Things like massages, hair removal treatments and manicures are all considered to be luxury services due to the high price of them. Not everyone can afford them, unless of course they happen across some great discounts. Well, today we’ve just stumbled across one such offer. Visit Groupon’s health, wellness and beauty section and you’ll see all kinds of savings can be had with its promotional coupons. 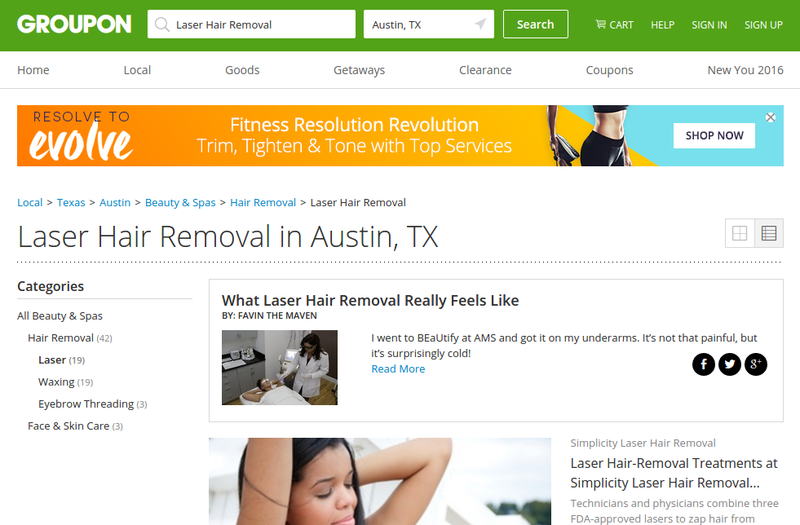 Check out this example of laser hair removal in Austin to see what we’re getting at.